I'll start off by saying that I shoot with the Canon brand version of this system. However, a fellow photographer friend owns the Yongnuo 600EX-RT system pictured to left and I thought that it would make for a good blog post especially for those who cannot afford the Canon system but want the flexibility of an awesome speedlite system. 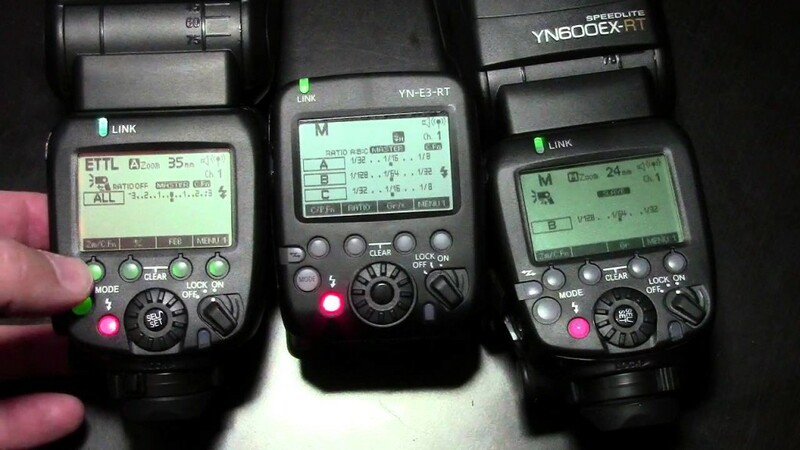 Even if you are not on a tight budget, the Yongnuo 600EX-RT is a great TTL speedlite solution for Canon users. It's amazing that Canon is letting Yongnuo get by with what appears to be a copycat of the Canon brand 600EX-RT system. Notice that even the model numbers are the same on both systems. The full system pictured here with TWO TTL speedlites and ONE hot shoe trigger is under $350 on Amazon. One additional speedlite is just $120 which means that for another $240 or a total investment of under $600 that a photographer could get a FOUR head TTL speedlite setup with ONE hot shoe trigger for just over the price of ONE Canon 600 speedlite. I can definitely see how tempting that would be and cannot blame a photographer for wanting to get the most for their money especially when budget is a concern. At $120 per head, I'd consider that beyond repair efforts if something happened to it whereas the Canon version in the $500 range is going back to Canon for repair should there be an issue. In my opinion, any photographer that plans to use a speedlite setup for a lot of shooting on the same day should seriously consider a battery pack. There are two affordable battery pack options that come to mind. One is the 8 AA battery style that you can search for on Amazon or Ebay by using something like "Battery Pack for Canon Speedlite or 8 AA Battery Pack for Canon Speedlite" which if it works with the Canon 600 speedlite then it will also work with the Yongnuo 600 speedlite. The other battery option, which is my personal favorite, is the Goddox PB960 rechargeable battery pack. You can find it on both Amazon or Ebay. You'll want to make sure it has the cable that fits the speedlite included. If not, it's about $12 for one cable. The unit is around $139 with two ports in it for two separate cables or to run a Y cable from the two ports going into one cable that goes into the speedlite. Speaking of the Y connector cable, it's about $15. My take on cables is to have extra ones. With all the battery power talk in the previous paragraph, the cost of a TWO speedlite system with ONE trigger along with TWO Goddox PB960 battery packs and cables gets into the $700 range. For some, that may be getting up there in price, but when you think about being battery powered with fast recycle time and TTL along with high speed sync, it's truly a lot of value for the $700 investment. If you are always shooting portraits inside and never, ever shooting run and gun style photography or even outdoors, then YES, for the same $700 investment, it would be better to have studio strobes that plug in the wall. Otherwise, the flexibility of speedlites and especially this system will make a huge difference in numerous areas of your photography.